Family vacation, Cedar Point or Lake Erie fishing we are in the heart of it all! Property 4: Family vacation, Cedar Point or Lake Erie fishing we are in the heart of it all! Property 5: Beautiful large balcony overlooking Lake Erie and Cedar Point, read my reviews!! Best Value Inside The Gates Of Lakeside! Property 6: Best Value Inside The Gates Of Lakeside! Marblehead Cottage #1 @ East Harbor, 100 Yards From Water, Free Boat Dock. Property 10: Marblehead Cottage #1 @ East Harbor, 100 Yards From Water, Free Boat Dock. Property 13: Premier Lake/Beach Front! First Floor Condo-Stunning Views! Awesome Downtown Sandusky Location, Access All The Fun And Walk Everywhere!!! Property 22: Awesome Downtown Sandusky Location, Access All The Fun And Walk Everywhere!!! 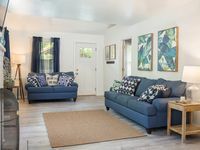 Cozy two bedroom with all the comforts of home just minutes away from the lake. Property 24: Cozy two bedroom with all the comforts of home just minutes away from the lake. 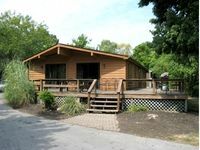 Minutes to Cedar Point/ 1400sf/ Sleeps 6-8/Weekday discounts! Property 27: Minutes to Cedar Point/ 1400sf/ Sleeps 6-8/Weekday discounts! Property 32: Sun, Sand and Sensational! Lake Erie Condo With Amazing Water Views!!! Property 33: Lake Erie Condo With Amazing Water Views!!! Beach Access! Minutes From Cedar Point, Kalahari, Jet Express, And Boat Basin! Property 35: Beach Access! Minutes From Cedar Point, Kalahari, Jet Express, And Boat Basin! Great cottage for fisherman and large family gatherings. Property 40: Great cottage for fisherman and large family gatherings. Property 43: Spectacular Turn-Key Waterfront Getaway for Six! Property 44: Little House on the Lake Great place, great price! Property 47: 3 bedroom, sleeps 10 , WiFi, Family Friendly midweeks still available! Property 49: Luxury Waterfront Condo Retreat For 6! Rating Details: The property manager was very helpful. The vacation rental was spotless. I was very happy with the location. I was very satisfied with the condition of the vacation rental. Overall, I recommend this vacation rental. Reviewer Comments: The stay was nice.